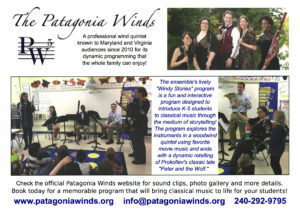 Patagonia Winds has educational music programs designed to build knowledge and appreciation for classical music from elementary school through college-age and beyond. 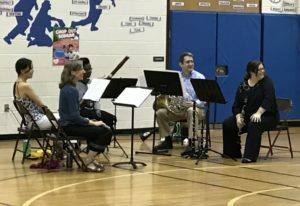 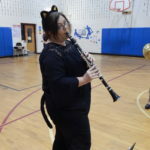 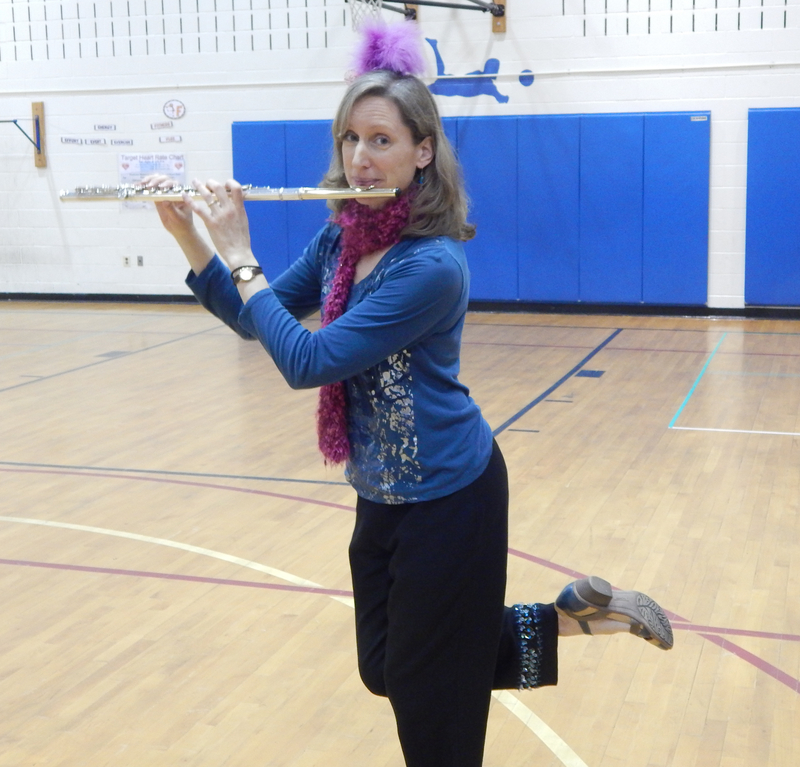 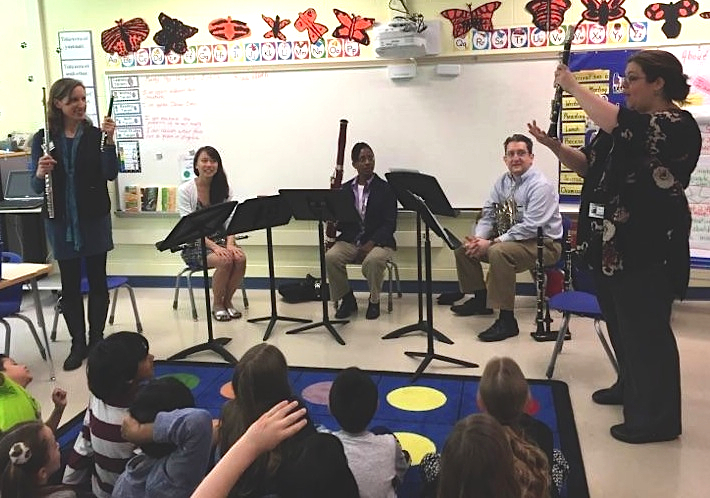 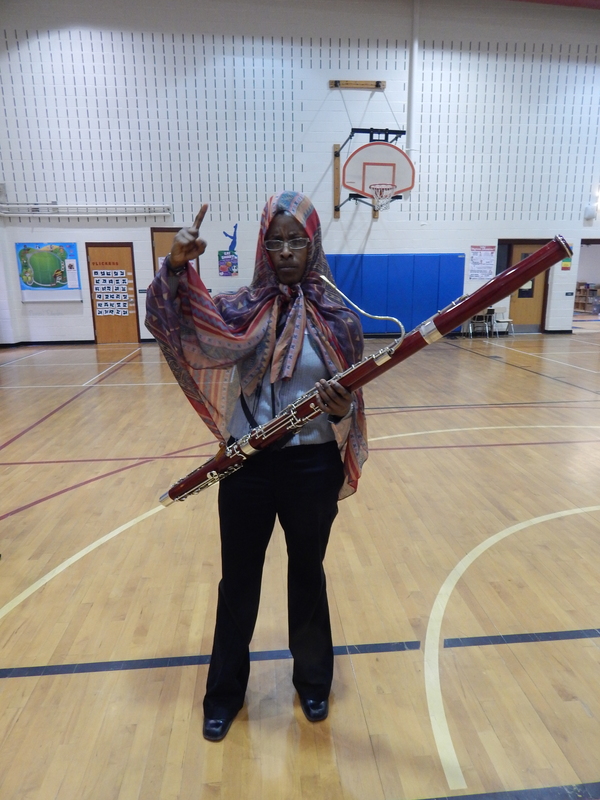 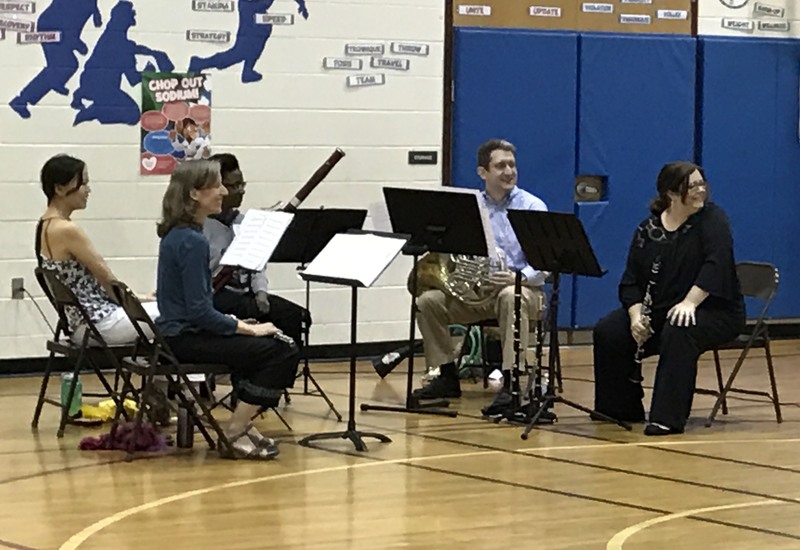 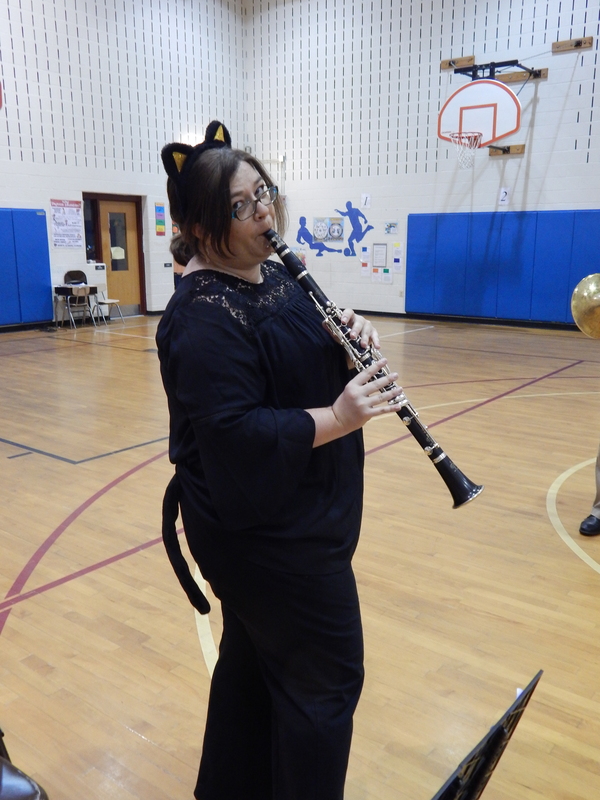 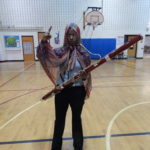 The woodwind quintet lends itself to education, because it offers exposure to five completely different wind instruments. 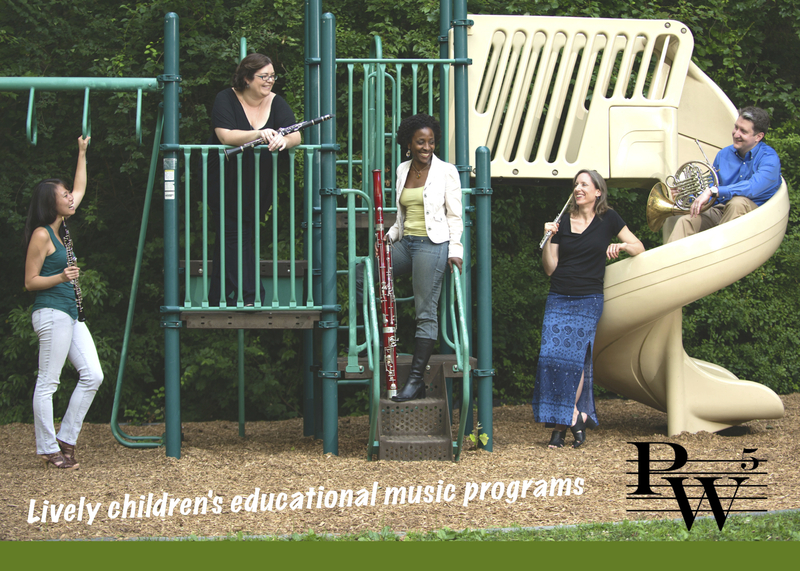 Brought together by the works of masterful composers and arrangers, this ensemble enjoys a rich repertoire. 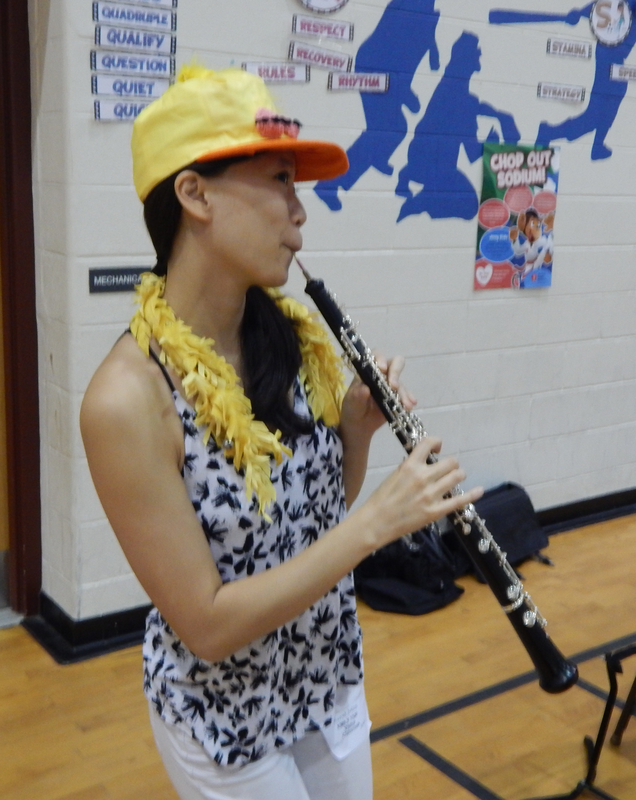 As educational performers, we embrace the philosophy that the best learning happens during play. 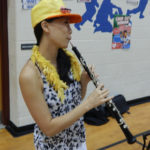 Therefore, our audiences sing, dance, clap, conduct, and more during our concerts. We always have a blast, and expect our audience to as well! 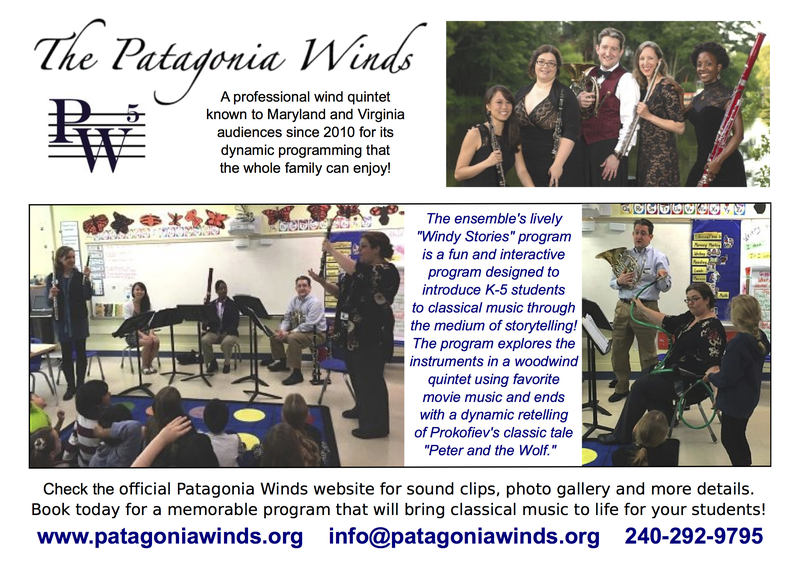 Patagonia Winds is pleased to partner with the Montgomery County Public Schools. 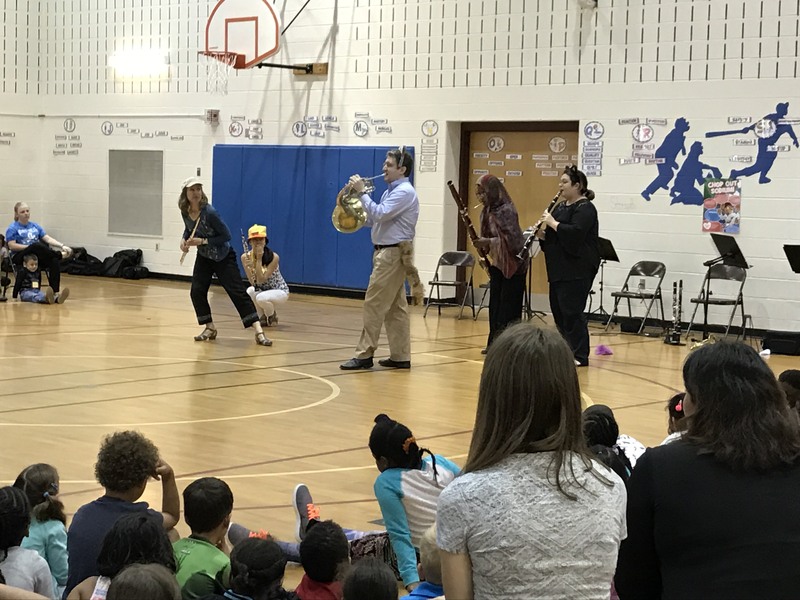 We have been selected by the Superintendent’s Committee for the Performing Arts as a presenter for educational programs, and are available to come to your school! 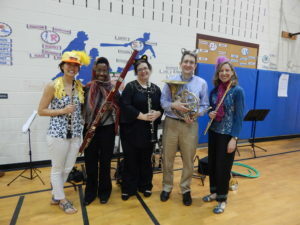 Our programs include instrument demonstrations and time for questions and answers from the performers. We can adapt our concerts to various ages and different settings. 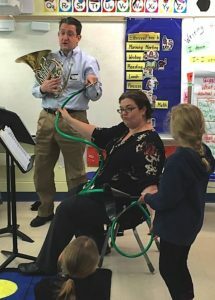 Just how long are the pipes in a French horn? 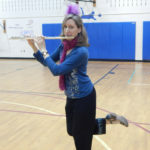 We love the questions students ask!